market for online gambling. Unsurprisingly, the Portuguese love betting on football and this dominates over three-quarters of all sports betting turnover. Basketball and tennis are also popular options, but these pale in comparison to the market leader. Gambling in Portugal is split into 3 different legal categories: raffles, casino and lotteries & sports betting. While raffles have limited financial implications for the state – the rest are all run via a monopoly under license from the government. All sports betting activity in Portugal has been run exclusively by the Santa Casa de Misericordia de Lisboa (SCML) since 1961, who primarily use the profits generated to fund social programs to help the elderly and children in the Lisbon area . There is no fixed odds betting allowed in Portugal instead all betting is pooled, where the wagers are made in a similar way to all are pooled together before the final pay-out is decided. The two games you can choose from are Totloto and Loto2. Despite the EU’s competition laws, in a 2009 case where Bwin challenged the monopoly the European Court of Justice ruled it to be legal providing Portugal and SCML are not discriminatory or go beyond what is necessary to achieve their aims . As internet gaming started to show signs of popularity in the early 2000s the Portuguese government stepped in and added additional clarification on their gambling laws. Legislative Decree 282/2003 sought granted SCML a license to essentially operate online and prohibit all other operators from providing their services online or via any electronic device . Even with this restriction in place many online operators continued to provide their services to Portugal and banks continued to honour transactions. After Bwin lost their ECJ case against the Portuguese monopoly they continued to offer their online service. This prompted Portugal to introduced ISP blocks on international sites, although these were largely ineffective. In 2013 the Portuguese government announced it was going to liberalize and begin to regulate the online market. As the economic hardships continued throughout Europe, resulting in Portugal receiving financial bailouts, it was hard to ignore the revenue brought in by online gaming in Spain and France. A decision was finally forced when the Troika – the EU Commission, European Central Bank and International Monetary Fund – insisted that legislation be introduced to assist in Portugal’s payback . As of July 2014 the Portuguese parliament has approved of these new laws, which will license operators in a similar way to France, Spain and Italy, enforcing strict controls in a national market. Presently the country is in the middle of a 180 day timeframe for the proposed regulator to set up and outline their process . 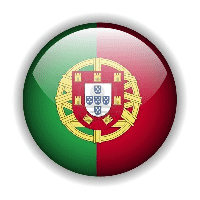 Taxes on Sports Betting in Portugal? Currently sports betting winnings are not taxable in Portugal. This is especially true as many of the sites Portuguese citizens use are offshore so there is no framework in place to apply taxes. There is currently much concern about how much tax the licensed online companies will be charged under new laws, although no indication yet that individuals will face any tax. How Accessible are Online Sports Books for Portuguese Customers? Despite not strictly being able to provide their services to Portugal, many sites do provide a Portuguese language site and customer support. Of course the Euro is used by the vast majority of respectable sites so there is no concerns about currency conversions and generally Portuguese banks will process transactions to offshore sites. Depending on the site you can deposit and withdraw using all the regular means including Visa and MasterCard credit cards along with all major debit cards. For quick payments, or if you are having trouble getting transactions through your bank you might want to consider an e-wallet like Skrill or NETeller which acts as a third party and allows you to store off the sites yet securely online. Now that legislation has been passed it is just a matter of waiting until everything is in place. It is believed that online betting will be a reality before the end of 2014 although there would be no surprise if it goes into 2015. It is understood that once companies become licensed then Portuguese customers will no longer be able to access the majority of reputable international sites and will have to use the Portuguese platform. One main concern presently is that the charges and taxation may put operators off gaining Portuguese licenses. This has been seen in Spain which is currently suffering a drop off in interest and profits in online gaming and as a result seeking to merge its ring-fenced market with other similar countries. 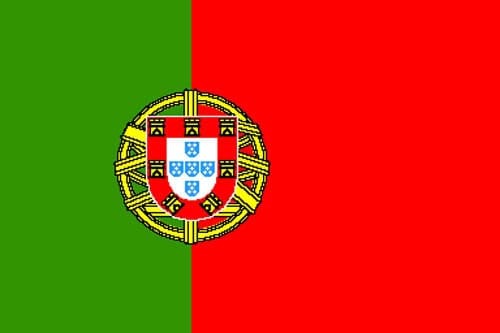 Whether this is an option for Portugal may be a discussion for the future, although until sites begin to launch it is not a present concern.